Does Dupilumab Affect Vaccine Response? Patients with moderate-to-severe atopic dermatitis have shown improvement when treated with dupilumab, a monoclonal antibody that targets the IL-4 receptor a subunit, which inhibits signaling of both IL-4 and IL-13. There are many immune factors that contribute to immune response, but a recent study sought to determine whether dupilumab might affect patients’ responses to commonly administered vaccines. The hypothesis was that due to the mechanism that suppresses IL-4 and IL-13 signaling, immune responses to vaccination may be impacted in patients receiving this drug. The study was a randomized, double-blinded, multicenter, placebo-controlled, parallel-group study. 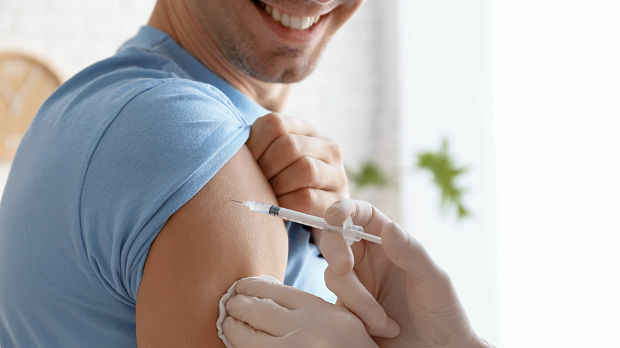 Patients received either subcutaneous dupilumab or placebo weekly for 16 weeks, and at week 12, patients received 1 dose each of the tetanus toxoid, reduced diphtheria toxoid, acellular pertussis vaccine (Tdap) vaccine and the quadrivalent meningococcal polysaccharide vaccine (MPSV4). The researchers looked at the response to the vaccines by measuring the anti-tetanus IgG production and the IgE levels after exposure to the vaccines. The results showed that there were similar positive immune responses in the dupilumab and placebo groups to both tetanus and meningococcal polysaccharide. In addition, vaccination did not cause IgE-mediated hypersensitivity and dupilumab significantly decreased total serum IgE. 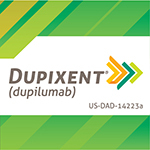 The authors conclude that dupilumab demonstrated clinically and statistically significant improvements in all AD efficacy measures, and vaccination at the 12-week mark was not associated with any adverse clinical effects. The authors state that these findings are important because they demonstrate that nonlive vaccines can be indicated safely and are immunogenic in adult patients with moderate-to-severe AD treated with dupilumab.